Tired at the wayside – For the fainthearted . . .
Technical ability always exceeded physical ability. 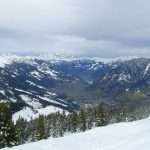 I could ski reasonably well, technically, the problem lay in stamina, by mid-afternoon, I was always exhausted. 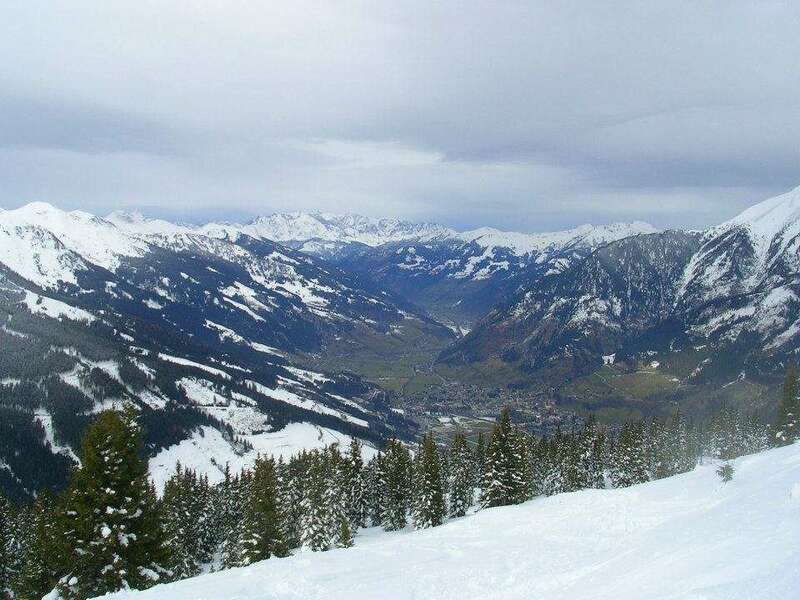 Sitting down for fifty-one weeks of the year, and then endeavouring to spend six days on red and black ski runs, was a strain on an overweight and unfit body. There was one afternoon, an hour or so after lunch, when our ski school group were following a long run down to the lift station. The instructor was probably looking forward to the end of the day, and was setting a good pace. 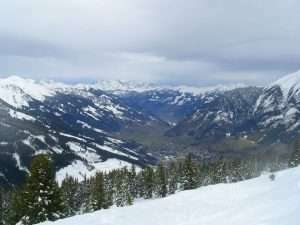 The piste had become bumpy from hundreds of skiers passing over it and concentration was needed to negotiate the turns. At one side of the run, there was a large drift of soft snow, and the thought of simply collapsing into it was tempting. There would have been a respite from the weariness. Of course, the problem with stopping was that it would cause problems for the rest of the group. Instructors are like shepherds, they must watch over their flock and ensure that all return safely to the fold. To collapse into a drift would have meant the group would have to stop; the instructor would have to ensure that all was well; and they would have to wait until I had rejoined them. The problem would not have only have been for the group, it would have been for me as well. The effort required to clamber out of the snow, put on my skis, and to continue down the run, would have been greater than the effort it would take simply to remain upright and complete the turns and traverses that would bring me to the valley. Memories of that afternoon on an Austrian mountainside have recurred during these past weeks. Prescribed adrenaline antidepressants last September, to redress a chemical imbalance in my brain, there was initially a feeling that all was well, a sense of enthusiasm, but as the months have passed perhaps the effects of the medication have worn off, or perhaps the system has become tired, and the parish equivalent of the traverses and turns of a ski run have become increasingly tiring. From a good pace, I have slowed to walking speed. There is always the option to collapse, to simply stop and lie at the side of the way, but what purpose would be served in doing so? The group, in this case, the parish, would have to wait until I was back on my feet and there would be the pain of getting up and rejoining the activity. The valley is not so far away.